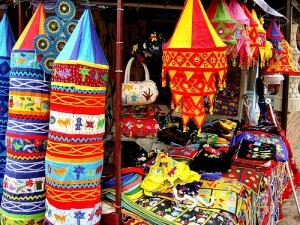 Dilli Haat- A showpiece of Indian culture !! | The Shopaholic Diaries - Indian Fashion, Shopping and Lifestyle Blog ! Dilli Haat- A showpiece of Indian culture !! Hope you had fun at the weekend- mine was fulllllll of funnnnnnnnn after a longg time as we never have off on weekends, but this time luckily we had no classes on Saturday and I went out partying with my friend- would post about it later though. 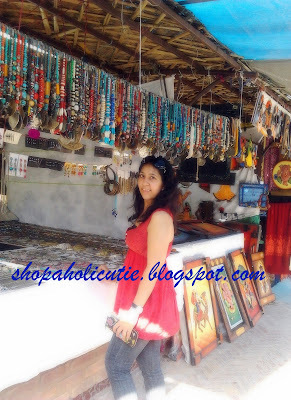 Last Thursday, I decided to visit Dilli Haat with my friends. I had heard a lottt about it from my friends earlier- the beautiful handicrafts, the food stalls from each state of India, the fun getting your hair Braided and much moreeee.. So I was really very badly looking forward to going there and yesterday, finally I did. Though I forgot to click the pictures of beautiful stalls around- I still managed to click a few. If you are a fan of Indian handicrafts and jewellery- this place is a must visit. But mind you, as the place is always thronged by foreigners so you might notice the shopkeepers charging you very high, so keep your bargaining skills handy !! You have to get an entry ticket just for Rs 20 to enter this awesome place full of shops having the best of Indian handicrafts and also the food stalls having food items from all the states of India. The first thing I did when I entered the market was to get my hair braided- It was funnnnnnn!!! Then we headed on to all the jewelery shops- but I found all the stuff very expensive as I have seen the same jewelery at Sarojini Nagar or Janpath Market at far lower prices. 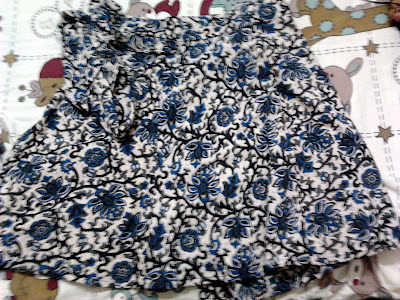 I did buy a Harem pants and a short wrap-around skirt as I loved their print and color after a little bargaining. Bought a very cute Mural of Lord Ganesha and bought it for my hostel room. Rest as I said earlier I found the stuff comparatively expensive and shopkeepers refused to lower the prices so I didn't spend much there and after having food there came back. But I guess its a must-visit place if you're visiting Delhi and want to have a look at all the Indian handicrafts and street food under 1 place. Here you can find products like rosewood and sandalwood carvings, embellished camel hide footwear, gems, metal crafts, beads, sophisticated fabric and drapery, brassware, and silk and wool fabrics. Dilli haat also having an exhibition hall within it where exhibitions of Indian handicrafts and handlooms are organized. The craftsmen who are registered with D.C.Handicrafts are the ones who are eligible to find a place here. 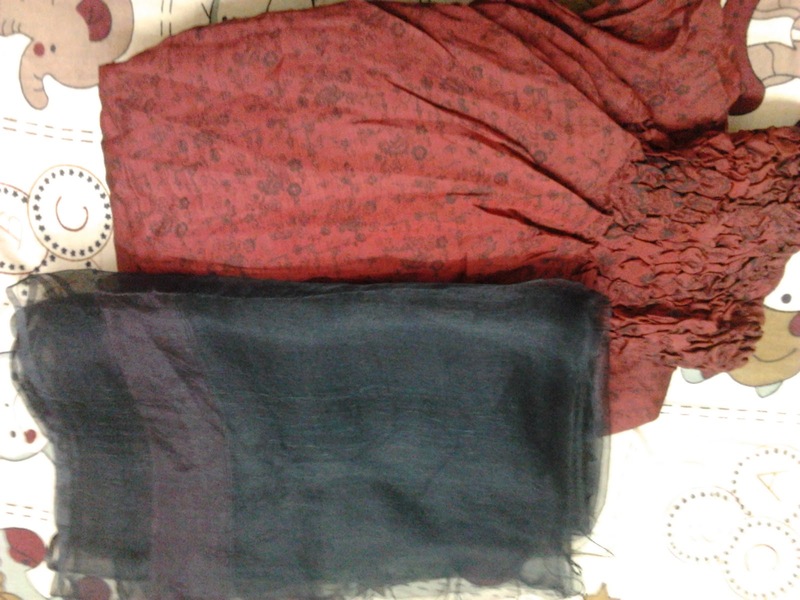 Here are the few pictures I clicked there and the stuff I bought. I love handicarfted items. We have a same kinda handicraft market in Hyderabad called Shilpa Raman but we do not get decent food there.. :(. I have visited there just once and had been planning to visit again since long but could not make it. P.S The new header is super cute...love it!! @agam- that's totally my pleasure !! : ) and thanks I too lovee the header :D hehehe..